Pest Solutions provides a discrete, professional, and above all safe pest bird shooting service. When you hire us, you can rest assured that we will carry out this work responsible and ensure that your pest problem is dealt with as efficiently as possible. At Pest Solutions, we only carry out pest bird shooting programmes rarely. Instead, we try to implement deterrents first. Not only does this swiftly deal with the current pest bird infestation, but it also ensures that the problem won’t simply return after a few weeks. In some cases, though, shooting is the only way to keep pest bird populations in check. The vast majority of our shooting work is limited to feral pigeons. Since these birds breed so prolifically, it can be very difficult to deal with them using non-lethal methods. Feral pigeon infestations spread fast, so what starts out as a small problem will often quickly develop into one that’s much harder to deal with. In addition, pigeons make their nests in secluded areas, so you might not even realise the scale of the infestation until the next generation of feral pigeons suddenly emerges. Whatever the cause, the fact of the matter is that pest bird shooting is an essential method to have at our disposal, and whenever necessary, we have the skills, experience, and licenses require to carry out such work successfully. How Does a Pest Bird Shooting Programme Work? Traditionally, shotguns were the weapons of choice for pest control. However, not only are shotguns far too noisy to deal with a large group of feral pigeons, but they are also far from the safest option available. The wide spread of the shotgun pellets can cause damage to the surrounding area, so we would advise against using them in confined spaces or against buildings. Instead, our pest controllers use air rifles for an accurate, quiet, and discrete approach to pest bird shooting. By using such equipment, the technicians avoid scaring off the rest of the flock of pigeons and causing concern amongst your neighbours. The pest control technicians who carry out our shooting work are all fully trained marksmen and air rifle license holders. 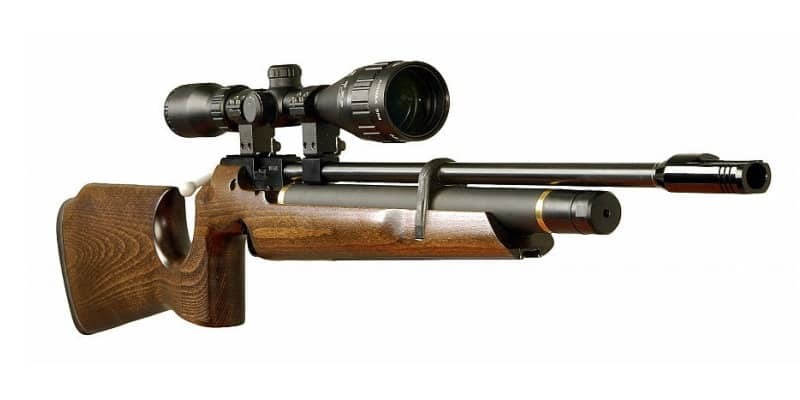 We take public safety extremely seriously here at Pest Solutions and work hard to ensure that we always act responsibly and discretely when using air rifles. Every pest bird shooting programme is carefully planned to be as efficient as possible, too, letting you take back control of your property from these unwelcome visitors. To assess whether or not pest bird shooting may be the best option in your case, Pest Solutions are pleased to offer free surveys to all of our prospective customers. One of our expert surveyors will come out to your property at a time that suits you and perform an in-depth analysis of the problem at hand. They can then give you an accurate up-front cost about how much the job will cost. There is no obligation for you to take us up on the offer, but if you do, it means that we can get to work that much quicker, as the required preliminary work will have already been carried out. Get Rid of Pest Birds Today- Call Pest Solutions! When a feral pigeon infestation has become too much for you to handle, don’t despair. Instead, call in the experts at Pest Solutions, and let us take care of the problem for you. We have local branches all across the UK, so one of our highly-trained technicians is never far from you. We always respond to enquiries fast and act swiftly to get the issue under control in next to no time. For any concerns surrounding pest bird control and pest bird shooting, simply contact Pest Solutions by calling us FREE on 0800 027 2555 for a survey or service call out. Let our technicians restore your peace of mind today!